It seems impossible to believe that this Society in one form or another has been going for over 100 years – what an incredible achievement! 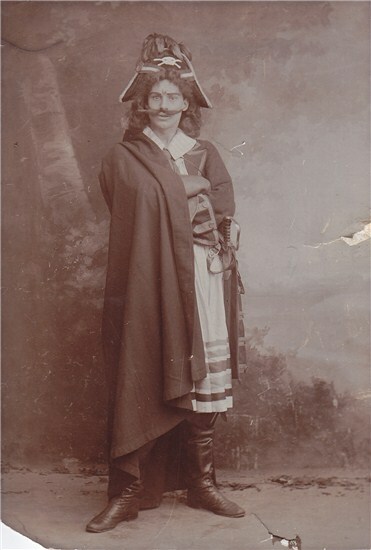 The Dolphins Dramatic Society, originally operatic and known as The Tetbury Amateur Operatic Society, staged their first production in March 1910 - The Pirates of Penzance performed at The Institute Hall in Tetbury. Since its inception well over 100 plays including farce, comedy, musicals and pantomime have taken place. To celebrate this momentous occasion the Dolphins Dramatic Society are staging the same production as performed by the inaugural group in 1910. Although no longer an operatic society, with the help of the Director Alex Ball, Assistant Director Gwen Bruist and Musical Director Nicki Heenan , this was a production well worth seeing. 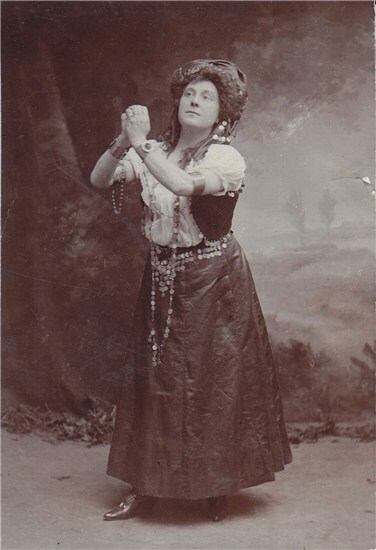 By 1914 when The Lady of Ostend was performed the organisation had become known as Tetbury Operatic and Dramatic Society. 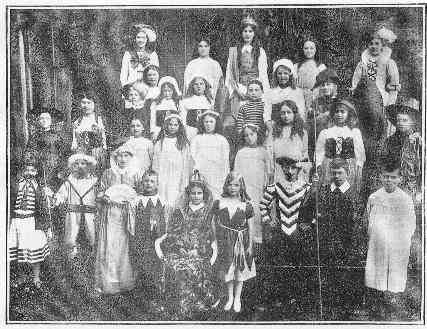 However, by 1923 with the production of Tilly of Bloomsbury, the operatic title was dropped and the company was referred to as The Tetbury Amateur Dramatic Society. The war took its toll on the drama group of course but the curtains re-opened in 1946 with performance of `The Living Room’ by Esther McCraken and by 1948, they had gained themselves a good reputation for performing Shakespeare. According to the Wilts and Gloucestershire Standard, Saturday 31 January 1948 `They have made a debut of which they may be thoroughly proud.’ By all accounts the Institute Hall (now Tetbury Youth Club, Chipping Street) was in a terrible state and the drama group were praised for giving the audience colour, mighty drama and much needed emotional release. Praise indeed when the country was still suffering the aftermath of the Second World War. The Dolphins Dramatic Society came into being when they shifted venue to The Dolphins Hall, New Church Street. Prior to this they had been somewhat nomadic, performing in Institute Hall, Westonbirt, the White Heart Assembly Rooms, St Mary’s Parish Church and Tetbury Grammar School. The first time they performed at The Dolphins hall was in April 1972 with the The Waltz of The Toreadors. Although now no longer acting with the Society, Angela Wildsmith, then a teacher at Tetbury Grammar School, was given a rave review from The Wilts and Glos Standard for her role as Emily. These reviews were a common sight in the newspaper from as early as 1922, most of them complimentary and although the reviews died out in 1974 the Society’s productions still get a write up and a photo in the paper. Twenty five years ago the Dolphins Dramatic Society had its lean times in term of finances and members. However thanks to people like Rob Smith who wrote plays (he still writes) for the drama group and Angela Wildsmith, Edna Cook and Jean Lockey who all had a hand in recruiting people in their own inimitable ways, the Dolphins Dramatic Society has gone from strength to strength. With its history and present day group the Dolphins Dramatic Society is part of Tetbury’s heritage.